There are many things computers can do better than humans—calculate square roots or retrieve a web page instantaneously—but our incredible brains are still a step ahead when it comes to common sense, inspiration and imagination. Inspired by the structure of the brain, artificial neural networks (ANN) are the answer to making computers more human like and help machines reason more like humans. Human brains interpret the context of real-world situations in a way that computers can’t. Neural networks were first developed in the 1950s to address this issue. An artificial neural network is an attempt to simulate the network of neurons that make up a human brain so that the computer will be able to learn things and make decisions in a humanlike manner. ANNs are created by programming regular computers to behave as though they are interconnected brain cells. Artificial neural networks use different layers of mathematical processing to make sense of the information it’s fed. Typically, an artificial neural network has anywhere from dozens to millions of artificial neurons—called units—arranged in a series of layers. The input layer receives various forms of information from the outside world. This is the data that the network aims to process or learn about. From the input unit, the data goes through one or more hidden units. The hidden unit’s job is to transform the input into something the output unit can use. The majority of neural networks are fully connected from one layer to another. These connexions are weighted; the higher the number the greater influence one unit has on another, similar to a human brain. As the data goes through each unit the network is learning more about the data. On the other side of the network is the output units, and this is where the network responds to the data that it was given and processed. Cognitive neuroscientists have learned a tremendous amount about the human brain since computer scientists first attempted the original artificial neural network. One of the things they learned is that different parts of the brain are responsible for processing different aspects of information and these parts are arranged hierarchically. So, input comes into the brain and each level of neurons provide insight and then the information gets passed on to the next, more senior level. That’s precisely the mechanism that ANNs are trying to replicate. In order for ANNs to learn, they need to have a tremendous amount of information thrown at them called a training set. When you are trying to teach an ANN how to differentiate a cat from dog, the training set would provide thousands of images tagged as a dog so the network would begin to learn. Once it has been trained with the significant amount of data, it will try to classify future data based on what it thinks it’s seeing (or hearing, depending on the data set) throughout the different units. During the training period, the machine’s output is compared to the human- provided description of what should be observed. If they are the same, the machine is validated. If it’s incorrect, it uses back propagation to adjust its learning—going back through the layers to tweak the mathematical equation. 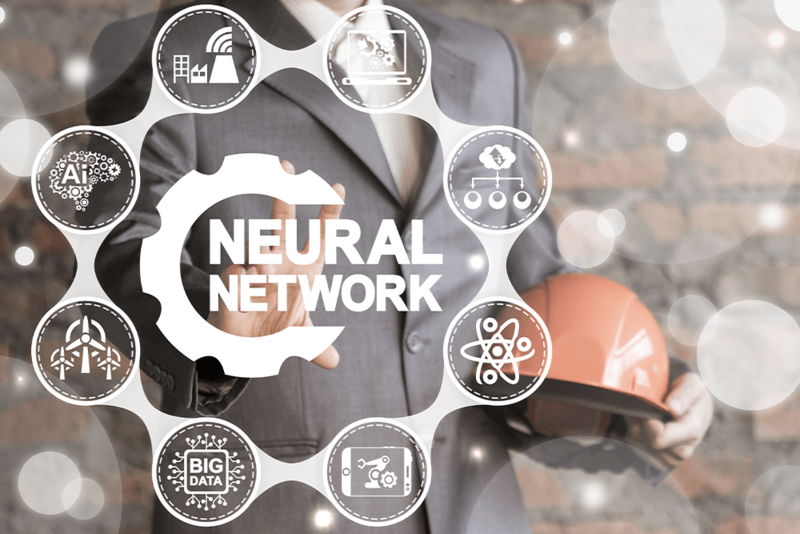 Known as deep learning, this is what makes a network intelligent. What are artificial neural networks used for? There are several ways artificial neural networks can be deployed including to classify information, predict outcomes and cluster data. As the networks process and learn from data they can classify a given data set into a predefined class, it can be trained to predict outputs that are expected from a given input and can identify a special feature of data to then classify the data by that special feature. Google uses a 30-layered neural network to power Google Photos as well as to power its “watch next” recommendations for YouTube videos. Facebook uses artificial neural networks for its DeepFace algorithm, which can recognise specific faces with 97% accuracy. It’s also an ANN that powers Skype’s ability to do translations in real-time. Computers have the ability to understand the world around them in a very human-like manner thanks to the power of artificial neural networks.